British and Spanish authorities are now focussing on North Africa and people of migrant background from that region in their efforts to prevent further Islamist attacks, after the atrocity in Barcelona this week. 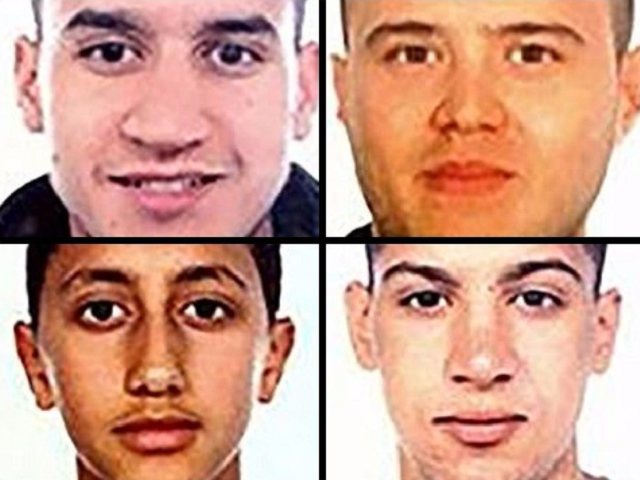 Younes Abouyaaqoub, the 22-year-old Moroccan suspected ringleader in the van attack that saw 14 tourists mowed down, is still as large as police close in on the remainders of the 12-man jihadist cell. Spanish Police said last night that they had killed seven suspected terrorists and arrested four more. Most are of North African origin. Morrocan Moussa Oukabir, 17, is believed to have stolen his brother’s passport to rent the van. Also dead are Said Aallaa, 18, and Mohamed Hychami, 24, Catalan police confirmed on Friday. Moussa’s brother, a Moroccan national named Driss Oukabir, handed himself into police and denies involvement in the attack. Security sources in London have now told The Times that their focus had been diverted to scrutinising jihadists from the North Africa region as a threat to British national security. Resources are being concentrated on potential terrorists from Tunisia, Morocco, and Libya, the source said. Many of the suspects from this week’s attacks were caught or killed in the town Cambrils, around 70 miles from Barcelona, where they launched their second assault, injuring five. They included Moussa Oukabir, the prime suspect, and two of his childhood friends whose mug shots were put out by police. Four more were arrested and two killed in an explosion in Alcanar, 120 miles southwest of Barcelona, where the attack was planned and a suspected bomb factory found. British spy agencies – MI6, MI5 and GCHQ – are assisting the Spanish and are understood to be part of an international intelligence operation helping to trace the travel and associates of the suspects. “As much as this is an attack on Spain, it is an attack on Europe. It is a challenge to European security,” a security source told The Times. Police operation in #Cambrils for possible terrorist attack.Avoid going out. Stay home, stay safe. Spanish police yesterday searched two buses in northwest Catalonia in the hunt for any remaining members of the cell. Nothing was found in the searches in Girona and Garrigas, police tweeted. Police also announced a series of controlled explosions Saturday in the town of Alcanar, south of Barcelona, where the carnage was planned in a rental house. The house was destroyed a day before the attacks by an apparently accidental blast. Authorities had initially written off the Wednesday night incident as a household gas accident, but took another look on Friday and returned on Saturday. Police believe the Wednesday night blast, which killed at least one person and injured one of the people currently in custody, actually prevented a far deadlier attack using explosives, forcing the extremists to use more “rudimentary” vehicles instead. In a tweet Saturday, Catalan police urged Alcanar residents not to be alarmed by the controlled explosions.